Current project: Faces of Eve, a celebration of women, their lives, love, and longing. Listen to the concert online. 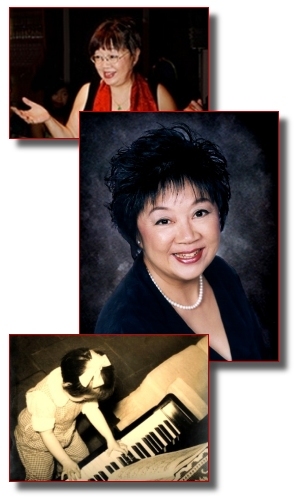 Hong Kong born pianist Mary Au is a graduate of the Royal Academy of Music and the University of Southern California. Her collaboration with many renowned artists, including appearances in Columbia Artists Management Community Concerts, has been enthusiastically received. Courted by Chinese officials, Ms. Au performed in the IFEA Award winning Nanning International Arts Festival in China. As a former executive of the GRAMMY Awards, Mary Au continues to dedicate herself to cross cultural boundaries and share her musical fabric with audiences worldwide.